Joan Wheelis, MD, is an Assistant Clinical Professor of Psychiatry at Harvard Medical School and Associate Psychiatrist at McLean Hospital and on the faculty for the McLean/Massachusetts General Hospital Residency Training Program. She is the director of the outpatient DBT Training Clinic for residents and junior faculty at McLean Hospital and has served for many years as a DBT consultant to the McLean affiliated Gunderson Residence and the Outpatient Borderline Clinic In 1996 she founded Two Brattle Center, an outpatient mental health clinic in Cambridge, specializing in intensive DBT treatment. She began her own formal training in DBT in 1997 and became a DBT Trainer for Behavioral Tech in 2003. She maintains a private practice in Cambridge and is also a Training and Supervising Analyst at the Boston Psychoanalytic Society and Institute. 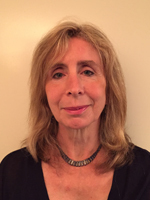 Her particular interests include the treatment of chronic suicidal behavior of patients with borderline psychopathology and the relationship of insight and action in producing therapeutic change.